Ezekiel was not the only prophet who had foreseen the modern-day state of Israel. Although the verses that were covered within Ezekiel in the previous section contain the clearest description of the events leading up to their rebirth in unbelief (see Restored with Fury), many other prophets actually went beyond that point and foretold the events and world conditions that the regathered nation of Israel would experience in the last days. It is here that the predictions become especially fascinating, because they tell of a time of trembling and fear for the restored nation and not peace. “For, lo, the days come, saith the Lord, that I will bring again the captivity of my people, Israel and Judah, saith the Lord; and I will cause them to return to the land that I gave to their fathers, and they shall possess it. “And these are the words, that the Lord spoke concerning Israel and concerning Judah. “For thus saith the Lord, We have heard a voice of trembling, of fear, and not of peace. “Ask now, and see whether a man doth travail with child? Why do I see every man with his hands on his loins, like a woman in travail, and all faces are turned into paleness? Many authors have written about the current state of Israel and scoffed at the possibly of it being a fulfillment of prophecy, primarily because of their continued unbelief and also because the nation’s existence has been so dependent on a strong military and not God. Jeremiah too may have assumed that when Israel was ultimately regathered the people and the nation would return to faith and obedience and experience immediate blessings from God. However, the Lord reveals here that instead of blessing awaiting them, there would actually be a time of unprecedented trouble when they return to the land. The scoffers simply have not understood these prophecies dealing with Israel in the last days. If they did understand what was predicted by Jeremiah and others, then the modern-day state of Israel would be seen as a dramatic fulfillment of the power of God. The conditions described in this prophecy are certainly unique and have no parallel in Israel’s history. Jeremiah said he heard a voice “of trembling, of fear, and not of peace”. He expected peace, and why shouldn’t he? The Lord had already told Jeremiah that his people were going to be scattered from their land by the Babylonian army in judgment (see sections on the scattering of Israel), but he was also told that they would be blessed again when they returned seventy years later. However, the conditions he was now seeing in this prophecy were completely different—terribly different. These events could not be applied to the return after the Babylonian captivity (see Jer. 29:10-14), because that time of regathering was seen in terms of a loving God wanting to once again bless his people after a generation of captivity. In this case, however, Jeremiah was shocked because now he was told of another future regathering, but unlike the promised return from Babylon, this prophecy pictured radically different results. The reason for this change is crucial for understanding what would happen to Israel at the end of the age. Instead of relating to Jeremiah’s immediate future, the Lord was giving him knowledge of an event that would not occur for thousands of years. Just as Ezekiel saw a rebirth of the nation leading to judgment at the end of the age, so Jeremiah was seeing the Jews returning to their land at a time that would be characterized by trembling and fear, and not of peace. Did the result of Israel’s rebirth on May 15, 1948, corroborate Jeremiah’s vision? Indeed it did! When the modern-day state of Israel emerged in the land of Palestine for the first time in thousands of years these fearful conditions began to be fulfilled exactly as prophesied. When the first Jews returned from the ravages of World War II, ripped out of Europe by the horror of the Holocaust and fleeing to the hoped-for sanctuary of their new land, did they find peace? No—they found only more war! Like a prophetic arrow striking through time, the first day of their existence saw the onslaught of major Arab armies and the start of the first Middle East war. On that very same day, seven of the surrounding Arab nations attacked them with their combined military might. For a makeshift Israeli government possessing no formal military defense forces and no allies among the rest of the world to come to their aid, the future looked bleak if not totally hopeless. However, unknown to the world at that time, the ability for overcoming impossible odds would soon characterize the people of Israel better than any other description imaginable. Despite the numerical disadvantages thrown against them, the Jews who had just come out of the Nazi persecutions and death camps were not about to let history repeat itself. 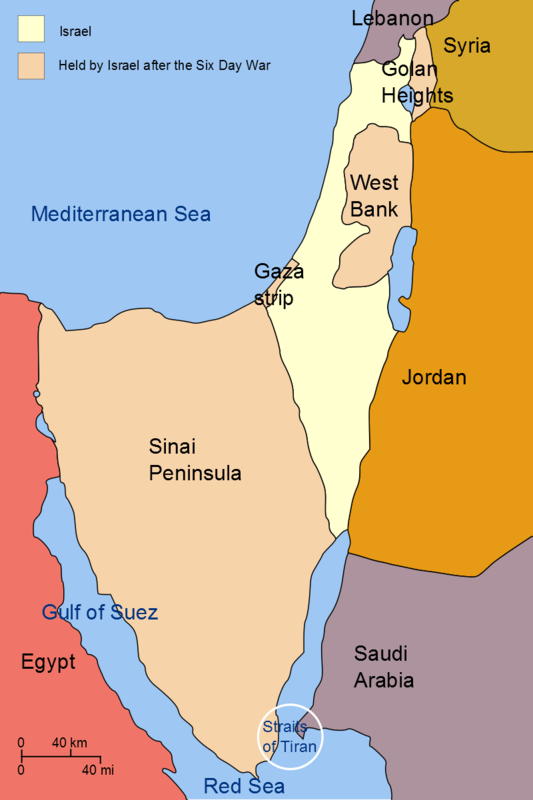 By January, 1949, Israel’s fighting resolve won for them not only the right to exist in the Middle East through soundly defeating the Arabs, but they actually expanded their national boundaries beyond those initially agreed to in the United Nation’s partition of Palestine (see illustration). Clearly, the new state of Israel was in the Middle East to stay even if their existence was still tenuous at best. 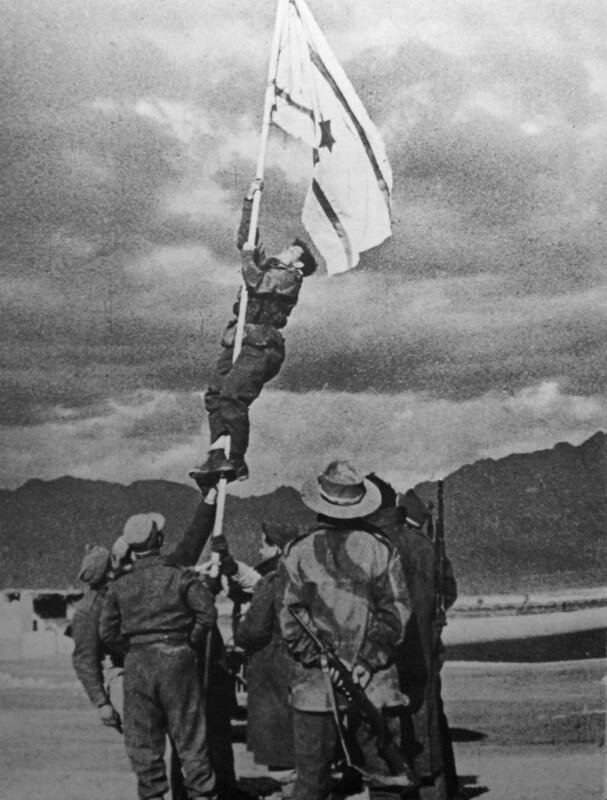 The swift military successes of the young Jewish nation may have somewhat veiled their fragile position for a time, but their victories could not alter reality. The Lord had brought them back to a country poised on the brink of disaster almost every day and surrounded by enemies on every side. The state of declared war with their Arab neighbors did not end with the Israeli victory in 1949. Although full scale warfare ceased for the moment, Egypt, Syria, Jordan, Saudi Arabia, Lebanon, Libya, Iraq, and the rest of the Arab world from that day forward would use every chance they could to destroy Israel, either openly or covertly. It was at that time that the seeds of the major anti-Israel terrorist movements had their beginnings. Groups like the Palestine Liberation Organization (PLO), Fatah, the Palestinian Authority (PA), Abu Nidal, Hamas, Hizballah, the Palestine Islamic Jihad (PIJ), the Palestine Liberation Front (PLF), the Popular Front for the Liberation of Palestine (PFLP), Al-Qaida, the Al-Aqsa Brigade, and many smaller terrorist cells and movements. From those early days onward, the new nation of Israel was destined to experience war, terrorism, guerilla attacks, and suicide bombers that threatened the lives of every Jewish citizen even when there was no open warfare with the regular armies of the Arab nations. The history of the Israeli wars and conflicts is nothing short of amazing, with literally every year bringing endless military operations to defend their small state in the midst of determined enemies wanting to see them wiped off the map of the Middle East (see the Wars & Battles of Israel for a complete list of these conflicts). The threat from continual “wars and rumors of wars” (Matt. 24:6) was always present for the young Jewish state. In the early 1950’s, Egyptian attacks by proxy terrorist groups in the Gaza region combined with a total blockade of the Gulf of Aqaba left Israel with no choice but to retaliate with military force. In the final days of October and the first few days of November of 1956, Israel brought a temporary end to the Egyptian threat with a sudden thrust through the Sinai desert toward the Gulf of Suez. In less than a week, Israel destroyed all the Egyptian military installations in the Gaza strip and along the Gulf of Aqaba. They even pushed to the edge of the Suez Canal before withdrawing as a result of international pressure. By the end of their first decade of nationhood it had become very apparent that life in the small land of Israel would be a continual existence of trembling and fear, and not of peace, just as Jeremiah had prophesied! It was also just as clear that this tiny country would be unusually special. In less than ten years of existence they had built a reputation of military superiority. It seemed that each time they found themselves on the edge of extermination they were miraculously saved by an almost unbelievable military victory against extraordinary odds. In no case was this truer than in the famous Six-Day War in the spring of 1967. In the weeks leading up to that war, Arab threats against the Jewish state were running at a fever pitch. Radio stations throughout the Middle East were continually broadcasting propaganda, which called for the immediate destruction of Israel. Massive demonstrations were held in every opposing Arab country calling for a consolidated attack upon Israel. On May 14 of that year Egypt demanded and received the withdrawal of the United Nations forces occupying critical areas of the Sinai desert. Three days later Egypt for a second time blocked off the Gulf of Aqaba to Israeli shipping by closing the Strait of Tiran, its only outlet to the Red Sea. At that point, the world just seemed to sit back and wait for the imminent destruction of the Jewish State. Once again, Israel was left with no alternative but to act. Faced with a combined Arab military might that had at their disposal 547,000 troops, 2,504 tanks, and 957 combat aircraft against Israel’s 264,000 troops, 800 tanks, and 300 combat aircraft (Jewish History Atlas, Martin Gilbert, p.107), the Jews could not afford to let their Arab enemies get the upper hand. On June 5, 1967, Israeli fighters took off from their bases and struck hard against the most important Arab airfields. Simultaneously, Israeli naval strikes against port cities in Egypt and rapid ground attacks pushing west through the Sinai, east to the Jordan River, and north toward Damascus took the Arab League totally by surprise. In less than two days 416 hostile Arab aircraft were destroyed, many of them while still on the ground. The once boastful and arrogant Arabs were now virtually paralyzed and defenseless. 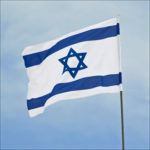 A mere six days after the first shots were fired Israel had defeated and completely humiliated the combined forces of all the nations surrounding them. To this day I can remember how the nightly news described that amazing week. The events seemed miraculously orchestrated by God even to those of us who were not believers at the time. In this case, it was more than just a miracle, because another prophet who lived over 2,700 years ago had actually predicted the events that occurred in the spring of 1967 with eerie precision. These prophecies are contained in an amazing passage from the book of Isaiah, which begins, appropriately, by again describing Israel’s rebirth as a nation. “And it shall come to pass in that day, that the Lord shall set his hand again the second time to recover the remnant of his people, who shall be left, from Assyria, and from Egypt, and from Pathros, and from Cush, and from Elam, and from Shinar, and from Hamath, and from the coastlands of the sea. “The envy also of Ephraim shall depart, and the adversaries of Judah shall be cut off; Ephraim shall not envy Judah, and Judah shall not vex Ephraim.  In chapter 11, Isaiah blends the anticipated Kingdom Age rebirth of the nation with their rebirth prior to the Second Coming, and he describes events and conditions characteristic of both times. In this regard, Bible prophecy is rarely chronological, but we must often sift out the events and place them in their proper context in order to understand them. In the first part of Isaiah 11 (not quoted here), the prophet predicts the incredible future blessings that will befall Israel after the Messiah (the “Branch”) comes to set up his Kingdom (see the section on the Kingdom Age). He then adds important details to this end times prophecy that includes the above prediction of Israel’s rebirth. This prediction includes the most amazing prophecy that actually gives the names of the very nations from where the Jews would return in that day and also describes some of Israel’s future military victories after their country has been reestablished. It is in this detailed prediction that once again we can positively reaffirm the strong correlation of Isaiah’s vision to the modern-day state of Israel. In the first two verses, which contain a prediction of Israel’s future regathering, Isaiah says that the Lord would bring them back for the second time. The logical question to ask is, when was Israel’s first regathering? The only other time in history that Israel was regathered to their land after being exiled occurred after the Babylonian captivity in the Sixth Century B.C. (Jeremiah 29:10-14). Many prophets like Isaiah had predicted that the Jews would be scattered out of their land due to sin and rebellion against God (see the section on The Scattering of Israel). So precise were these prophecies that Ezekiel and Jeremiah warned that they would be scattered out of the land by the attack of a powerful foreign army, and they also revealed that it would occur at the hands of the Babylonians (which was fulfilled in the year 587 B.C. with the destruction of Jerusalem). Jeremiah went further and even predicted that they would be regathered after exactly 70 years of captivity in Babylon. 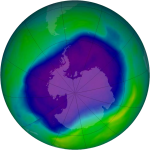 Since we now know that every Biblical prophecy must come true because it is inspired by God (see Principles of Prophecy), not surprisingly this event occurred exactly as predicted. This first return to land of Israel was recorded in the books of Ezra and Nehemiah. Isaiah wrote in chapter 11 (quoted above) that what he was now seeing was a future regathering of the nation, and it would become the second time that the Lord would bring Israel back to their land after being scattered out of it. However, unlike the first return from Babylon, this future regathering would involve considerably different circumstances. For one thing, it would be orders of magnitude more important to the nation and to the world. Instead of leading back to immediate restoration and blessing from God, it would lead to the end of the age and the Return of Christ (see Jer. 30:3-7, quoted above). In Isaiah 11:16, the prophet also indicates that their second return would be similar in magnitude to when the Lord first brought Israel out of Egypt. Clearly, the Lord looks at the regathering of Israel at the end of the age to be of the same importance as the events surrounding the Exodus. The Jews would be regathered in the end times from among hostile nations and would be brought back to their land for a purpose. The world witnessed this second regathering as Israel was incredibly reborn in 1948! The Bible also indicates that the rebirth of the nation at the end of the age would eventually lead to the miracles and promised blessings that were offered to that first group of people who passed over the Red Sea in the days of Moses. As can be seen in the section on the Kingdom Age, all the promises that were originally forfeited because of disobedience when Israel first crossed the Jordan into Palestine will be gloriously fulfilled at the Return of Christ. However, before Israel gets to that point of blessing, there will be a time of trembling and fear leading to the time of Jacob’s trouble (Jer. 30:7, quoted previously), which is designed to lead them to repentance and salvation. Their return to the land in 1948 was just the beginning of this process. Some commentators have wrongly argued that this prophecy was already fulfilled in the return of the Jews from Babylon after 70 years of captivity. However, that event was the first regathering, not the second one, which is clearly envisioned in this prophecy. This incorrect interpretation probably stems from Isaiah’s mention in verse 11 of so many ancient countries by name, most of which no longer even exist in our world. However, what Isaiah was doing was providing the precise places from where the Jews would return in the last days. Consider this: If Isaiah had to predict thousands of years into the future the exact locations from where the Jews would return to their homeland, how would he best describe it geographically? The only way he could accurately predict these events would be to use the names of the nations that existed in his day as the future points of origin. This would then clearly identify the overall areas corresponding to the future world when this prophecy would be fulfilled. The Lord couldn’t simply give Isaiah the modern names for these countries, because their names would have been unintelligible and meaningless to the people in Isaiah’s time. Besides, how would the name “Iraq”, for instance, have been translated into the ancient Hebrew of the eighth century BC and then translated back into our modern languages so that we could make sense of it today? Obviously, the best way for Isaiah to identify these future points of origin was to use the names of the countries from his time, which occupied the corresponding geographical territories from where the Jews would return in the last days. Therefore, if Isaiah 11:11 (quoted above) is actually a prophecy of the countries from where the Jews were going to return in the last days (our generation), then Isaiah’s accuracy (or lack thereof) should be easily provable. Incredibly, the very same geographical locations Isaiah lists in this prophecy turn out to perfectly correlate with the major origination points for the Jews returning to modern-day Israel in the years after they became a nation. For instance, the ancient nation of Assyria mentioned in Isaiah 11:11 is now best represented by the country of Iraq. From 1948 to 1964 (a period of intense Jewish immigration) over 123,000 Israelis returned to their homeland from that area alone. By 1985, almost 270,000 had migrated from Iraq back to their Israel. Likewise, since 1948 over 67,000 Jews have returned to the land from Egypt and the Sudan (the territory represented by Pathros) and upwards of 60,000 have returned from northwestern Syria (Hamath). In addition, Cush, which is often translated as Ethiopia in modern versions of the Bible, originally consisted of not only the present country in Africa, but most historians also say that the ancient country spanned the Red Sea and occupied part of the southwestern portion of the Arabian Peninsula. Early in the history of modern-day Israel, operation “Magic Carpet” brought 48,000 Jews from Yemen (North and South), which is exactly the place where part of the nation of Cush would have existed in Isaiah’s time. 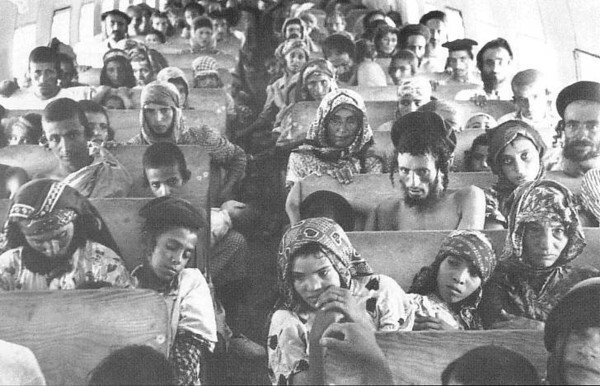 To date, over 165,000 Yemenite Jews came from that area to return to Israel. As these Jews returned to Israel many did so on airplanes, although they had never seen one before. However, they believed that their return was prophesied in Isaiah 40:31—that they would come to Zion “on wings of eagles”. Also, since those early years of immigration, thousands more have immigrated to Israel from Ethiopia proper (particularly the black Jews) due to the decades of repeated famine in northeastern Africa. Finally, Isaiah mentions the regions of Shinar and Elam as two more origination points for the returning Jews in the last days. These countries occupied two regions in the Middle East that were in the southern Mesopotamian valley and in the southwestern corner of Iran. It turns out that these two territories were the previous homes of over 120,000 returning Jews (see Martin Gilbert, Jewish History Atlas, p.98, 1969 and the Economist, Jul. 20, 1985, Survey on Israel, p.10). At no other time in Israel’s history could the words of Isaiah possibly have been fulfilled except for the days after their rebirth in 1948. It truly was the second time of their regathering and they actually returned from the very same regions Isaiah predicted. However, Isaiah not only predicted that the Jewish people would return from the many nations surrounding Palestine, but he also said they would come back from virtually every corner of the globe. This is what is meant by the expression “from the coastlands of the sea” that appears in verse eleven. 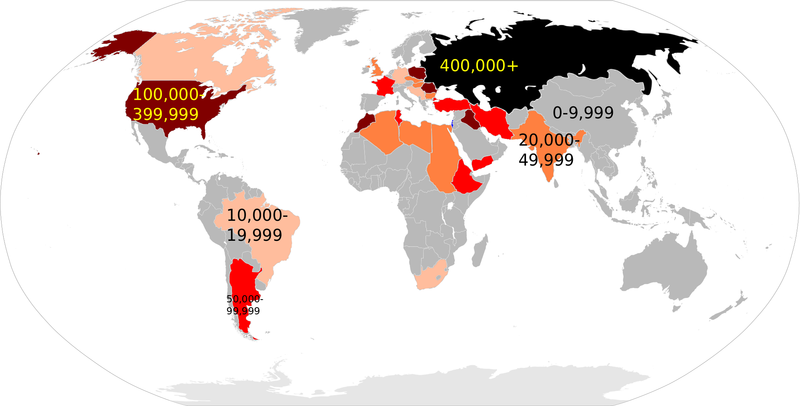 After 1948, another significant point of origin for returning Jews was Europe. Jewish immigration from the many European countries generally resulted in the formation of the so-called intellectual class known as the Ashkenazim who have been the most powerful and influential group since the beginning of the Zionist movement. By contrast, the Jews of African and Asian origin have been more of the downtrodden class and are known as the Oriental or Sephardim Jews. Much of the internal strife and economic problems present in Israel since their rebirth have been the result of friction between these two groups of Israelis. The poor of Israel are very poor and are in great need, while the rich and influential have created much of the growth and economic success that the nation has experienced. The present governmental system and the entrenched welfare state which has almost bankrupt Israel over the previous decades are products of the Ashkenazi Jewish mind—the tradition of which came directly from their European heritage. The Sephardim, however, who have now become the numerical majority, came from a background that makes traditional democracy seem foreign, especially, they say, if that means giving the Arabs living in Israel a voice in their country’s affairs. Part of the Labor Party’s decline since the mid-1970’s and the Likud Party’s rise have no doubt been a direct result of the Sephardic disenchantment with the way life has been going for them in Israel. When Jeremiah said he saw a time of trembling and fear ahead for the future state of Israel certainly this also meant the time of economic and political trouble that the country has faced. For such a tiny nation of a little more than 8 million people pitted against and surrounded by a hostile Islamic world of potentially over 447 million sworn enemies in over 20 countries (including about 20% of Israel’s population being Arab living directly within their borders and over 4.4 million Palestinians living in the Gaza strip and the West Bank areas), the lifeblood of the economy has been drained to the breaking point. Until the time of the miraculous 1967 war Israel could still rely upon their early achievements (both scientific and military) to drive them forward. They seemed to be almost invulnerable, and perhaps even the most agnostic person would begin to think that somehow God was truly behind their fortunes. But the 1973 Middle East war changed everything. Still almost arrogantly overconfident from their presumed military superiority, Israel was rudely awakened from their complacency by a surprise attack on the High Holy Day of Yom Kippur in October 1973. Being a strict Sabbath day in the religious calendar, most Israelis were home with their families in preparation for the Day of Atonement celebrations. National security and war preparedness were probably the furthest things from most people’s minds. However, lurking in secrecy was the combined military might of Syria and Egypt which was massing for a sudden thrust at the very jugular of the Jewish nation. Their clandestine war preparations involved mobilizing one of the largest standing armies in the world. According to Chaim Herzog, the Egyptian forces “included some 800,000 troops, 2,200 tanks, 2,300 artillery pieces, 150 anti-aircraft missile batteries, and 550 first-line aircraft” (The Arab-Israeli Wars, p.239, 1982). Herzog also said that the combined Egyptian and Syrian forces to be thrown against the northern and southern borders of Israel actually outnumbered the total forces of the NATO Alliance then stationed in Europe. The Arabs had learned their lesson well from the humiliating defeat they suffered only six years before in the 1967 Middle East war. Instead of openly bragging about their intentions, this time their military preparations went forward in almost perfect secrecy. Israeli intelligence was at least good enough to warn them of a huge Arab buildup along the Suez and Golan areas, but the continuous public assurances by the Arabs that they had no intention of going to war masked the apparent danger. It wasn’t until the very morning of October 6 that Israeli intelligence finally informed the government’s high command that an attack was scheduled to come later that very day. The initial Egyptian onslaught was furious. The artillery barrage alone was so intense that over 10,000 shells fell on the Israeli front lines along the east bank of the Suez Canal in the first minute of the attack (Arab-Israeli Wars, Herzog, p.241). Jewish defenders were ill prepared for such an assault. With no possibility of reserve forces coming to the rescue, at least not for several days, the front-line troops had no choice but to hold out as best they could until help arrived. The stories of bravery exhibited by the 436 soldiers who were stationed in a series of fortifications seven to eight miles apart along the Israeli side of the Suez Canal became legendary. That small contingent was almost solely responsible for holding back the Egyptian armies long enough for the Israeli forces to regroup and launch counterattacks. That delay proved devastating for the Egyptian army. By October 10, even though the Egyptian forces had succeeded in crossing the Suez and securing portions of the Sinai eastward, Jewish deployment was now almost complete and the tide of battle was beginning to turn in Israel’s favor. After a series of major tank battles, one of which in the Sinai desert was among the largest in history, the Israeli forces finally made a dramatic crossing of the Suez to the Egyptian west bank on the morning of October 16th. 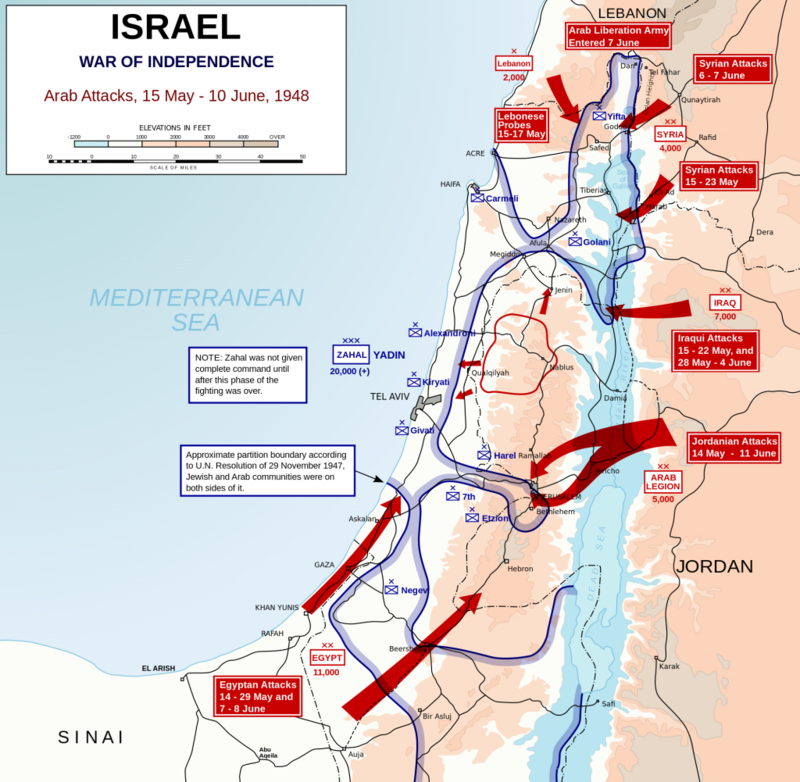 Only ten days after the beginnings of the massive Egyptian onslaught, Israel was now on the offensive and moving toward victory. After another week of hard-fought battles with many casualties on both sides, the Israeli forces actually had the Egyptian 3rd Army cut off from their supply lines in the Sinai and had secured their own positions on the west bank, even to the degree of controlling the eastern portion of the road to Cairo. Not only had Israel effectively counter-attacked, but they were now in Egyptian territory and threatening to move deeper inland. In addition, up to 45,000 Egyptian troops in their 3rd Army faced certain annihilation in the Sinai Desert if the battle was to continue for even an additional week. Meanwhile, on the northern front, the battle with the Syrians began with similar ferocity. The odds at the beginning of the attack were overwhelmingly in favor of the Syrian forces. According to Herzog, Israel’s normal defenses in the Golan area consisted of only the 7th Armored Brigade to the north with about 100 tanks and the 188th Armored Brigade to the south with 57 tanks. These forces were poised to meet the brunt of the Syrian attack which included their 5th, 7th, and 9th Divisions at the front and also backed up by the 1st and 3rd Armored Divisions to be thrown into the battle as the second wave. All total, Syria massed some 1,500 tanks for the initial onslaught. Designed to be simultaneous to the Egyptian attack in the south, Syria began its offensive on October 6th with a massive artillery and air barrage lasting about an hour. This was followed by a rapid engagement by their ground forces as they poured into the Golan Heights against the ill-prepared Israelis. The incredible courage displayed by the Israeli forces over the next 24 hours—refusing to allow the Syrians easy passage into the heart of the Galilee and Israel—again became the key factor in allowing the Israeli reserve forces time to organize. By Tuesday, even though the Syrian army occupied most of the strategic ground of the Golan Heights, the Israelis had fought them to a standstill. In just a few days, almost 500 Syrian tanks had been lost since the start of the attack, and by this time a series of surprise attacks by the regrouping Israelis even had some of the enemy units on the run. As fantastic as it may sound, before the war was even one week old, Israel had turned a nearly impossible situation on both fronts into one of hope. By October 22, 1973, Syria finally realized that all of their initial advantage was lost and formally accepted a United Nations proposed cease-fire. Two days later a cease-fire on the Egyptian front also held. Israel had literally been at the brink of total destruction and had barely scraped and clawed their way back to nothing more than simple survival still surrounded by hostile neighbors. Significant to the ultimate cease-fire along both fronts, was the threatened intervention by Moscow if Israel pushed any further toward victory. As we shall see in later chapters, the Russian threat in the Middle East is destined to become very real in the last days. 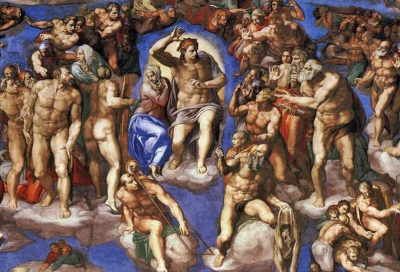 The prophet Ezekiel actually predicted Russia’s rise to power over 2,500 years ago. Ezekiel’s prophecy of a Russian attack upon the nation of Israel nearly came true in the 1973 war, but it will be fulfilled in the very near future (see World War III). Moscow’s dire threat of intervention at the close of the Yom Kippur War pushed the world closer to the brink of World War III than most people realize. If the war had continued for even a few more days, Israel would have inflicted a total collapse of Arab military power similar to what they accomplished in 1967. The Soviet Union was not about to stand by and watch that happen again. It was said at the time that Russia was prepared to begin a major airlift of troops and supplies into the Middle East if a cease-fire was not attainable. In fact, U.S. nuclear forces had actually gone on full alert in response to these threats. It was only through Henry Kissinger’s eleventh hour “shuttle diplomacy” that the world avoided all out global war and a possible nuclear holocaust. Despite Israel’s hard-fought victory in the 1973 war, it was a critical turning point that eventually wrecked havoc on their political and economic world. In order for Israel to overcome such impossible odds, the United States had to quickly deliver several billion dollars worth of emergency arms. Unlike the 1967 war in which Israel quickly overran and defeated their Arab neighbors in a spectacular victory, the 1973 war brought them to the brink of defeat even though they were ultimately successful. Richard Lazarus, the famous Jewish psychologist, said after the war that the repercussions on Israeli society caused deep fear and trauma. For the first time, every Jewish person was aware that their lives existed in a continual state of uncertainty, suddenly becoming conscious that at any moment their country could be destroyed by war or terror hitting them from anywhere. The strain on the Israeli people and their economy was just beginning to lead them down the path to the prophesied time of Jacob’s trouble.